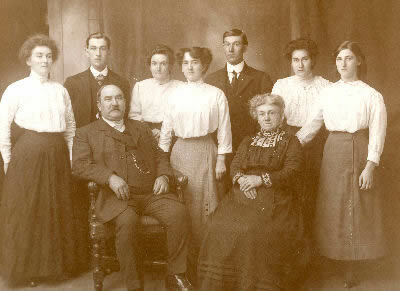 This lovely family portrait shows Albert WOOLGAR & Hannah LEEDER with their seven children - from left to right, they are Annie, Albert, Rose, Bessie, John Thomas, Ada & Lilian. Albert WOOLGAR, sometimes known as Albert Henry and sometimes as Albert Edward, was born about 1852 somewhere in London. No trace of his birth or baptism records have been found so far, despite many years of searching for them. Victoria (known in the family as “Lilian”) who was born 08 June 1897 and who married a Mr. AIREY in 1925. 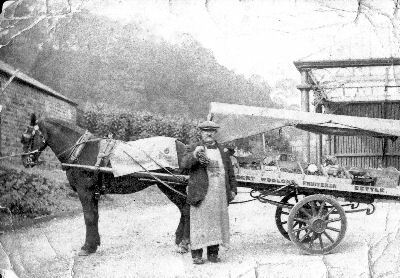 Albert WOOLGAR was a Fruiterer and Greengrocer and he is pictured here with his horse and cart.